T You and target opponent each choose a target creature the other controls. Flip a coin. If you win the flip, destroy the creature you chose. 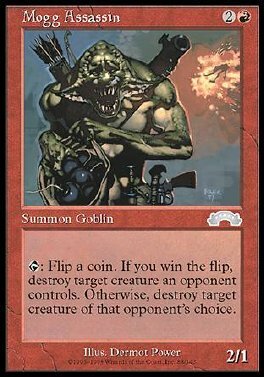 If you lose the flip, destroy the creature your opponent chose.